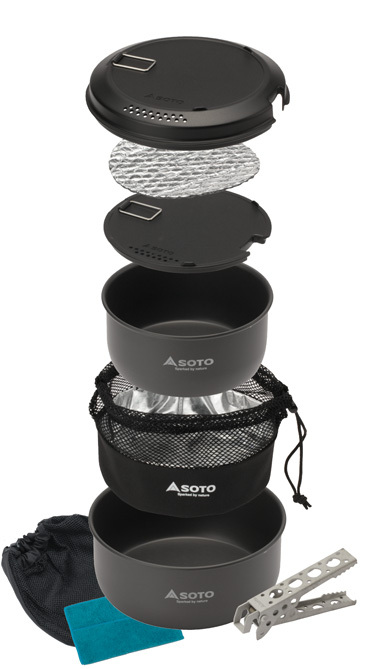 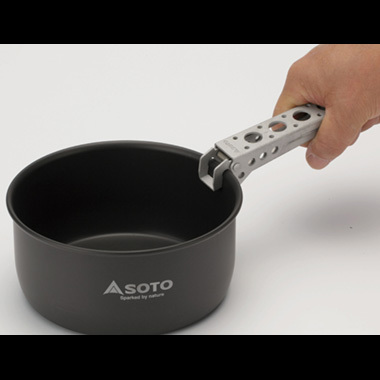 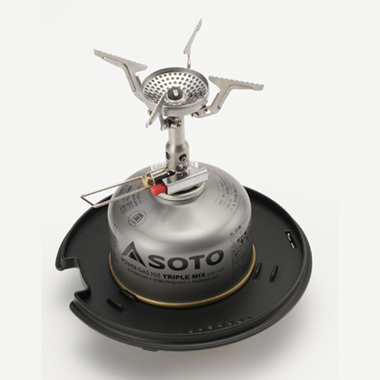 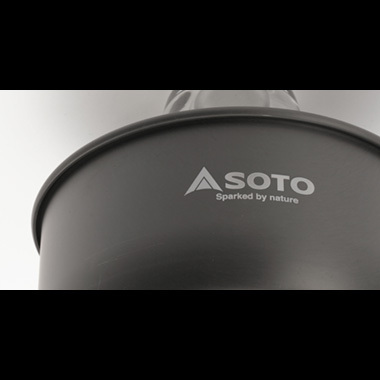 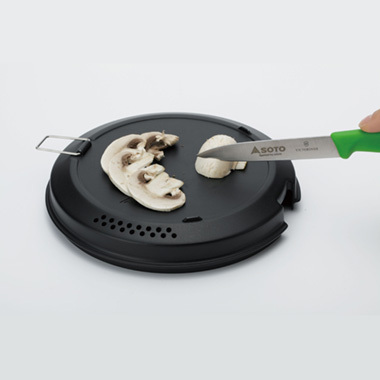 SOTO’s new ultra-hard anodized aluminum cook set excels in shock resistance, wearability and corrosiveness compared to conventional sulfuric anodized pot. 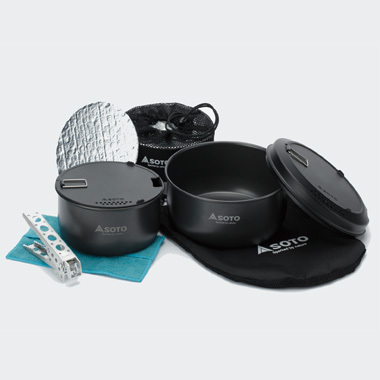 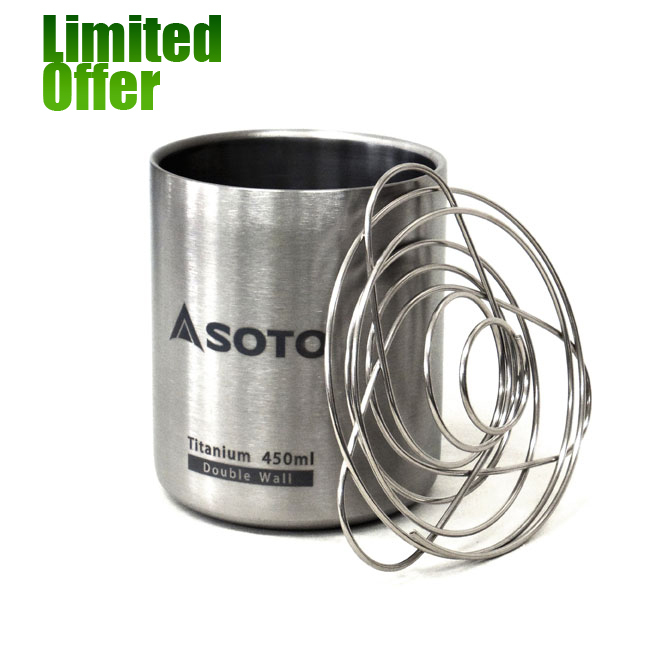 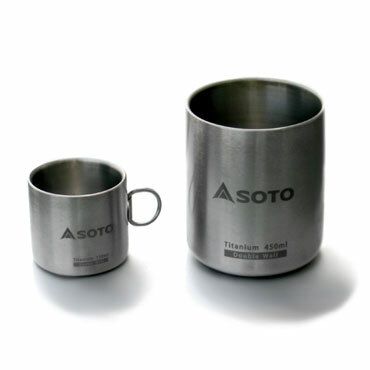 Ultra-hard anodization strengthens pot surfaces and prevents corrosion. 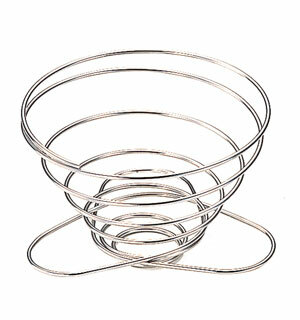 The inner spring keeps handles open so they can function as tongs. 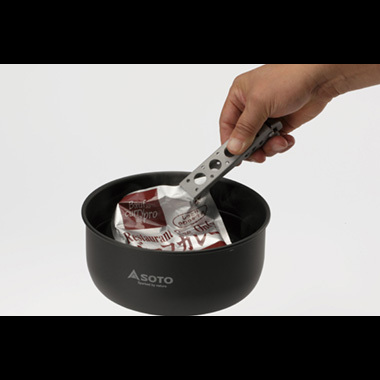 Navigator System’s 6*Kozy keeps food hot 6 times longer than a traditional pot. 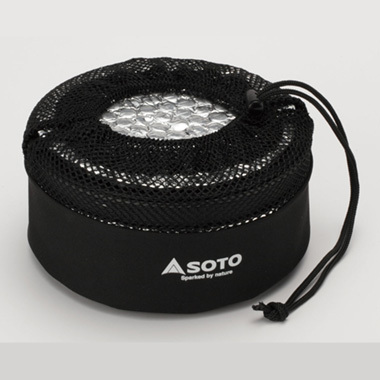 Slip hand in adjustable belt under 6*Kozy to secure pot. 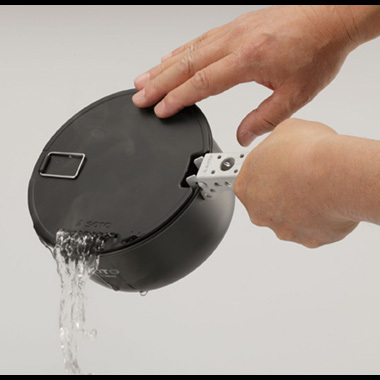 The wide rim makes clean-up easy. 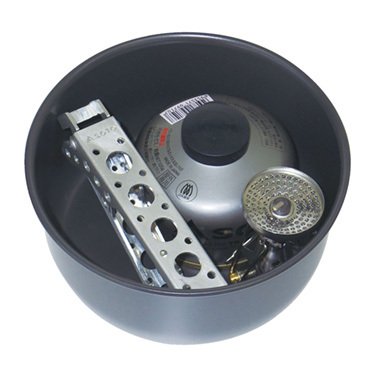 Navigator Cook Set’s non-slip base on pot. 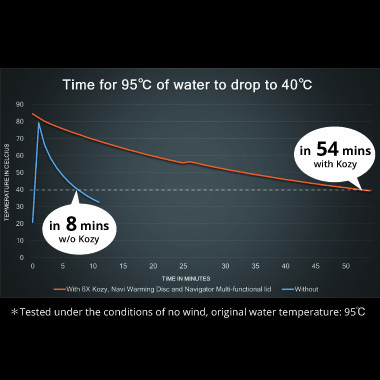 The specs may change without prior notice.